Sponsors of Musical Enrichment, Inc. (S.O.M.E. ), a San Joaquin County, Calif. non-profit corporation, is now accepting applications for the 2010 Jim Ott Scholarship. The $3000 award will be given to a graduating high school senior or a student presently attending an institution of higher learning. To be eligible for the scholarship, students must: • Demonstrate financial need • Participate in a drum corps • Demonstrate leadership qualities • Be accepted to or in attendance at an institution of continuing education (public or private) • Be a music major Sponsors of Musical Enrichment created the Jim Ott Scholarship in memory of the legendary brass arranger and instructor. A DCI Hall of Fame member, Ott is known for his work with well-known brass sections in the 1970s including the Blue Devils, Spirit of Atlanta and the Stockton Commodores. All drum corps members are encouraged to apply. Completed applications, transcripts and letters of recommendation must be returned to S.O.M.E. by July 15, 2010. 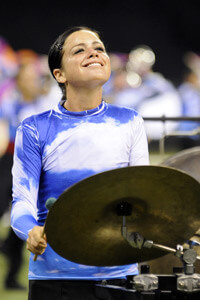 The winner will be announced at the 2010 DCI World Championships in Indianapolis. Download the application at SOMEInc.com.